Students who arrive on campus after 7:30 am must immediately check in at the front office and will be given a pass. Once students arrive on campus, they may not leave without checking out properly through the front office. Students are not to call (from classrooms or cell phones) to ask to be picked up. 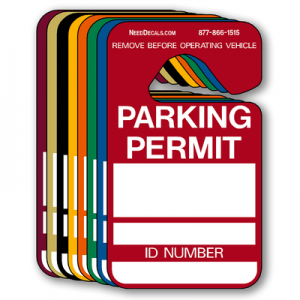 Students should notify their teacher and obtain a pass before reporting to front office. Students who leave campus with a reduced schedule (dual enrollment, OJT) must be in possession of their leave permit and be able to show it on demand. Students must be off campus by 2:00 pm unless involved in a supervised activity. ALL CELL PHONES AND OTHER ELECTRONIC DEVICES MUST BE TURNED OFF AND PUT AWAY DURING CLASS UNLESS GIVEN EXPLICIT TEACHER PERMISSION TO USE FOR INSTRUCTION. Cell phone use is allowed between classes and during lunches. During class, all cell phones and electronic devices must be turned off and put away unless given explicit teacher permission to use for instruction. See the specific electronic device policy for details and consequences for failing to follow policy. Students may NOT leave campus for lunch. The use of food/drink delivery services such as UberEATS, Door Dash, etc. is prohibited. Conflicts Any student who creates, or is part of, a confrontation will face discipline consequences. Any student who has a problem with another student should ask for help from a teacher, counselor, administrator or school resource officer. See Student Code of Conduct for details. Sexually implicit or explicit clothing, bikini and tank tops, and spandex clothing (kinds of clothing usually worn at beaches and while engaging in recreation activities), are not appropriate wearing apparel for school or school functions. Students may not wear leggings, yoga pants, tights or similar clothing unless they are covered by a shirt or skirt of an appropriate length. Students may wear shorts and skirts as long as they are of an appropriate length. Blouses, shirts, and sweaters cannot dip below a line formed between the right and left armpit. Muscle shirts and tank tops are not permitted. Spaghetti straps and strapless tops are not acceptable. Tops must be long enough to clearly overlap the belt line or stay tucked in during the course of normal movement throughout the school day. Any type of clothing, jewelry, accessories or manner of grooming, which by virtue of color, arrangement, trade mark or other attributes to denote membership in a gang, or advocates drugs, tobacco products, alcohol, violence, or has sexual innuendo, inappropriate messages, logos, double meanings, prejudices, or has or could cause disruption is prohibited. Appropriate hats may be worn, but kerchiefs, bandanas, skull caps, and do-rags are NOT to be (a) brought on campus or (b) worn, carried or displayed. 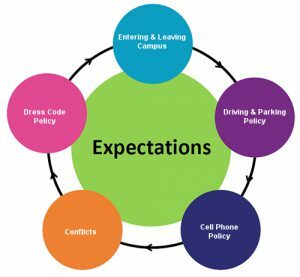 For full list of dress code policies, please see District Student Code of Conduct. Major illness in the immediate family of the student (immediate family is determined as parents, brothers, sisters, grandparents, aunts, uncles, legal guardians or persons “in loco parentis,” or a member of one’s own household). Death in the immediate family of the student. Religious institutes, conferences, or workshops, provided that the principal or designee approves the absence in advance. Absences for trips or other parental requests that are determined to be educationally relevant for the student as determined by the principal or designee. Requests must be approved at least one (1) week in advance. The principal or designee’s decision in this matter is final. Subpoena or forced absence by any law enforcement agency. A copy of the subpoena or court summons must be submitted to the school. For purposes of attendance, school related activities would not be counted as absences from school. Issues and occasions specific to military families. All elementary, middle and high school students who are absent will be marked “unexcused” (U) until the parent/guardian notifies the school in writing and justifies the absence with one of the acceptable reasons as defined below. Failure to do so within three (3) school days will cause the absence to be recorded as “unexcused”. In the case of excessive or extended absences, which are claimed to be due to illness, upon request of the principal or designee, a parent must provide documentation (doctor’s statement) of a student’s illness. Excessive or extended absences are considered five (5) in one calendar month or ten (10) in one semester, or a history of excessive absences per period as defined below under Student Consequences for Unexcused Absences. Absences that meet this threshold as defined above will require a doctor’s note. If doctor’s notes are not provided, absences will be marked as unexcused. We are pleased to welcome you and your children to a new school year. Our goal is to work together to provide a quality education and safe environment for all students. We know that providing a safe and secure learning environment for our students is essential to student learning. Therefore, it is important that parents and/or guardians read and discuss the Code of Student Conduct with their children. We need your support to teach and reinforce the student rules of conduct. It is crucial that all students see that we are committed to working together to provide a quality education. School bus rules ensure that all students have safe rides to and from school. Violating these rules will result in the loss of bus riding privileges for a period of time. It is understood the loss of this privilege may cause a hardship; however, it is our job to provide safe transportation for all students. Our dedicated teachers, administrators, and support staff look forward to a wonderful and productive school year with all students and families. Please assist us by becoming actively involved in your child’s school and education. “On Track” wrist bands will be issued once. Lost wrist bands will not be replaced. However, eligible students can purchase a replacement band for $5.00. Not “On Track”? Earn it back! When will privileges be revoked? * You may lose privileges at any time based on the student code of conduct. ** Students who are not “On Track” will not be able to participate in extracurricular activities including field trips and school dances. On track students are able to eat in the cafeteria, patio, lounge, or commons area. They may also eat in teachers’ classrooms with an official pass from the teacher. 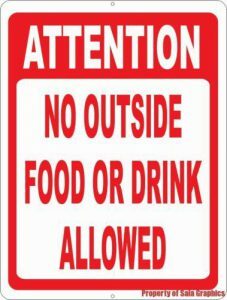 Off track students may eat in the cafeteria or patio. They may also go to a teachers’ classroom to complete assignments, make up work, or for tutoring with a pass from the teacher. 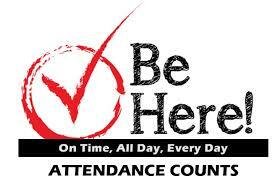 Students should have no more than 5 excused or unexcused absences per quarter (a total of 20 absences a year). Absences excused with medical documentation and school related absences such as field trips, competitions, etc… will not be counted towards off track/on track. Program requirements were presented to all classes last year via power point presentation as well as freshman orientation. Program requirements were restated to all students during class meetings at the beginning of the school year and were posted on school website, Twitter, and Facebook page as well as on flyers throughout the school and in classrooms. Hudson High School, as well as all other high schools in the district has graduation enhancement teachers and coaches. These teachers have a caseload of at risk students for whom they provide additional support towards setting and achieving academic goals. Each high school also provides a credit recovery program, geared towards Juniors and Seniors who are in need of making up failed courses in order to graduate. The school also provides after school adult education as well as extended school day and extended school year (summer school) throughout the year. This year school staff also came together to develop a 2 day a week intervention period for students needing help in reading and math, geared towards helping them improve grades as well as achieve proficiency on state testing required for graduation.